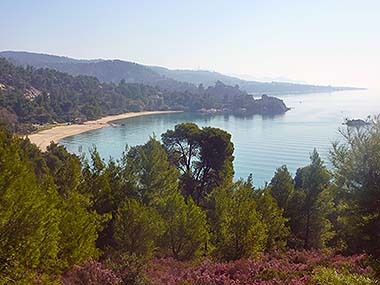 A beach with an almost straight coastline, quite uncommon in Sithonia, wonderfully coloured and marked by the pine trees that literally fall into the water. 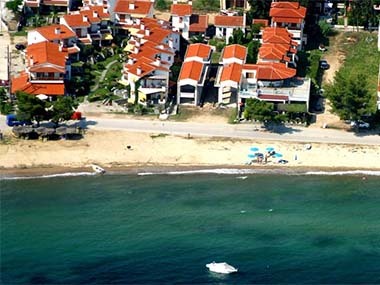 Spathies is located just after Kalogria beach. 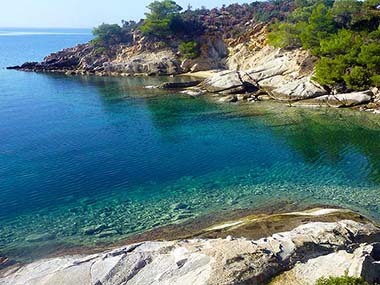 Its main feature is a rocky shore with little bays and sea caves. 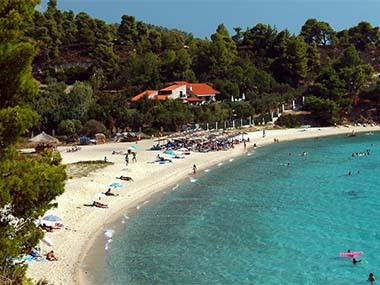 The main beach of Nikiti in Halkidiki has easy access and lots of facilities for the visitor. Your kids will love the shallow, clean waters. 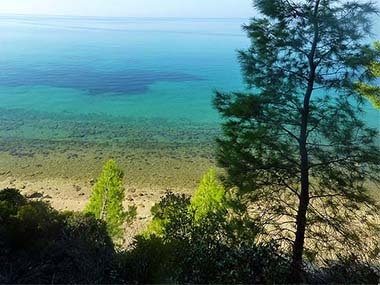 A large beach with stunning sea and an adjacent pine tree forest, many accommodation options and activities of water sports. 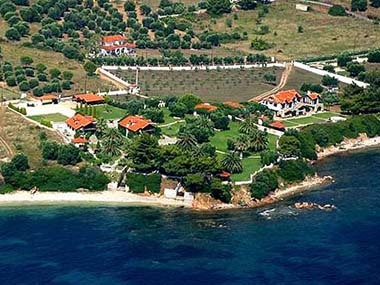 A not well known beach in Nikiti, located in an area of special historical interest. 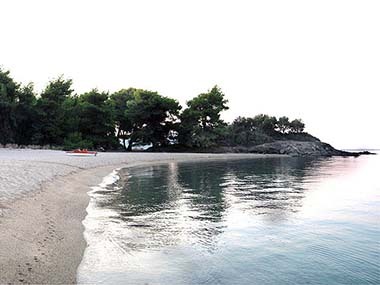 A long, easily accessed beach with crystal clear water, located a few kilometers outside Nikiti. Relaxing turquoise water, in a unique frame of sea, rocks and pine trees. 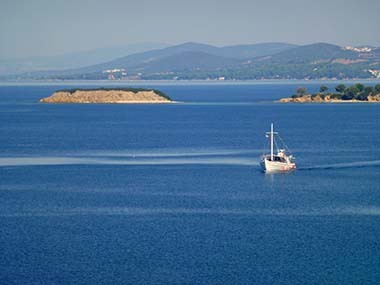 An open bay, a big sandy beach and an off-shore rocky island with seabirds.